Protect yourself and your business from online eavesdroppers—it’s easier than you think! If you were hoping for a flame-throwing watch or flying a car, we’re sorry—this isn’t James Bond’s equipment manual. 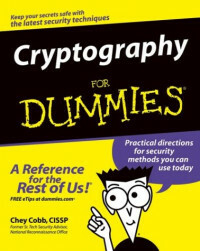 Cryptography is a common-sense way to secure stuff on the Internet, and this friendly guidebook makes it easy to understand. Discover how you can protect information with keys, ciphers, PKIs, certificates, and more. Web Service Patterns: Java Edition describes architectural patterns that can guide you through design patterns (service implementation and usage) and illustrates the different ways in which you can use web services.